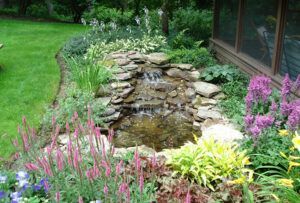 You can have a lush, tropical environment right in the backyard of your Northeast Ohio home with the installation of a unique waterfall feature. 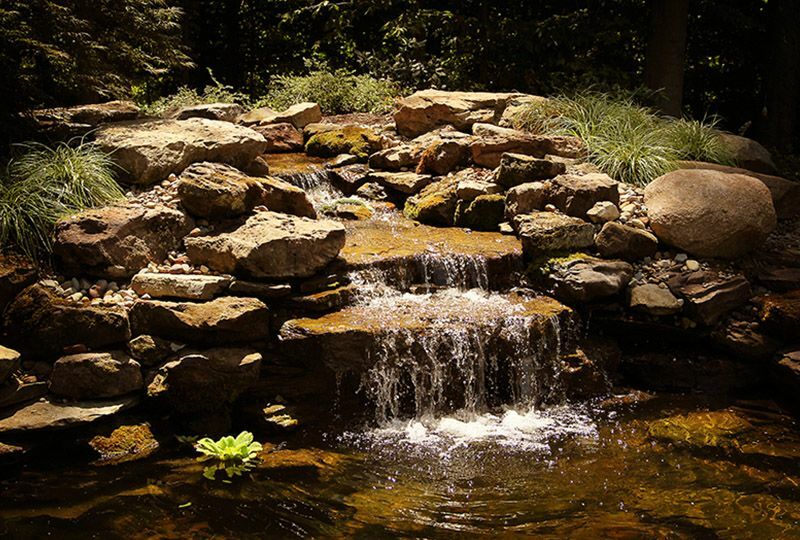 Designed as part of a water garden or pond, and accentuated with natural landscaping suited for your space, a waterfall can be a stunning focal point of your landscape. 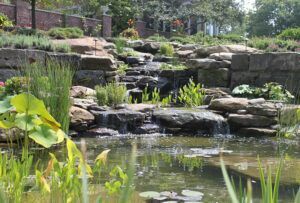 A waterfall can completely transform your backyard space into a personal retreat for you and your family to enjoy. 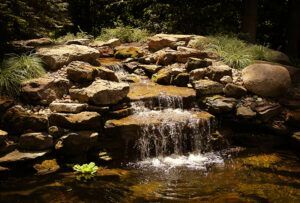 Many people find the sound of moving water to be very peaceful and relaxing, and a waterfall is a beautiful way to integrate water into your landscape design. 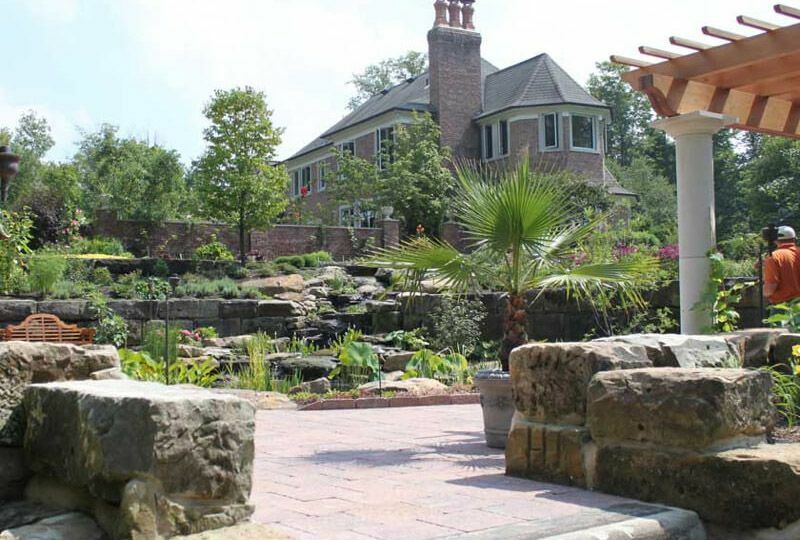 Exscape Designs can help you create a comprehensive plan for your outdoor space that incorporates a waterfall feature.